I am not a very good artist. Fortunately, my friend Colleen at Just Paint It is not only a good artist, she is a great teacher. 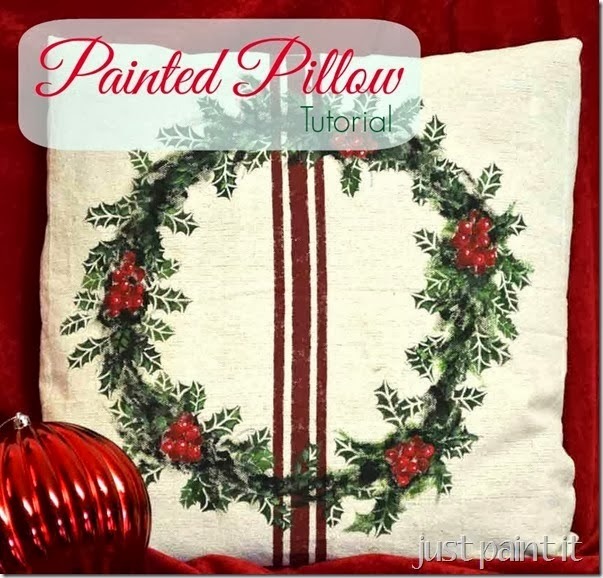 She did a great knock off of Pottery Barn’s Holly Leaf Drop Cloth Pillow. Click here to see her full tutorial. Quirky Christmas decor: a winter chair makeover with paint and epsom salt! Make a decorative winter platter.